Hello, I'm Joe. I'm a design and product leader obsessed with trying to make technology work for people. My primary goal is to leverage the power of good design to empower people to accomplish their goals, from great product solutions to effective team processes. Regardless of the problem space (product, process, or people), I use design to find the best path to the best solution by establishing a shared vision and human-centered process, evangelizing design thinking, building deep partnerships, and leading user research efforts. I've always been fascinated with technology, even self-teaching myself frontend dev back in the days of GeoCities. My technology fascination was equally matched by my desire to understand human behavior. I later would combine my love of technology with my curiosity of psychology with my degree in Human-Computer Interaction. When I'm not focused on User Experience and technology, I like to relax by watching movies, especially sci-fi and horror. I also enjoy trying to find the best donut shops and sour beer breweries wherever I go while trying to burn those calories off by hiking. Extreme amount of effort should always be put into moving complexity onto the system rather than the user. Often in the pursuit of simplicity, it is important to understand that the work has to happen and it’s a choice between the user or the system. The ideal user experience will always be having the system handle the complexity of the work. The most powerful experience recognize who we are and what we're trying to accomplish without requiring the user to do anything. The experience should be extremely relevant to the user. Technology is inherently not human and only through design can technology become more than a functional computer. An experience should be designed to connect to the human that goes beyond accomplishing their goals but rather exceeding their expectations. Lastly, the experience and more importantly process should be grounded in science. Design is a melding of arts and science into a practical expression of how something works. 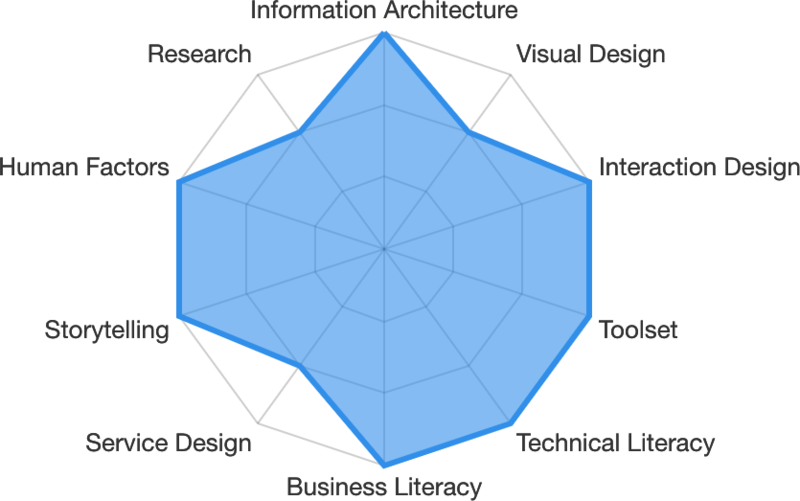 The science aspect of design is easily ignored but is the key factor to give legitimacy to the design field.